As I shared a little on the blog last week, McKean Studio is headed across the seas to Palm Springs, for Modernism Week 2015! We'll be sending off our last package of Palm Springs themed goods this week, before sending ourselves the week after! 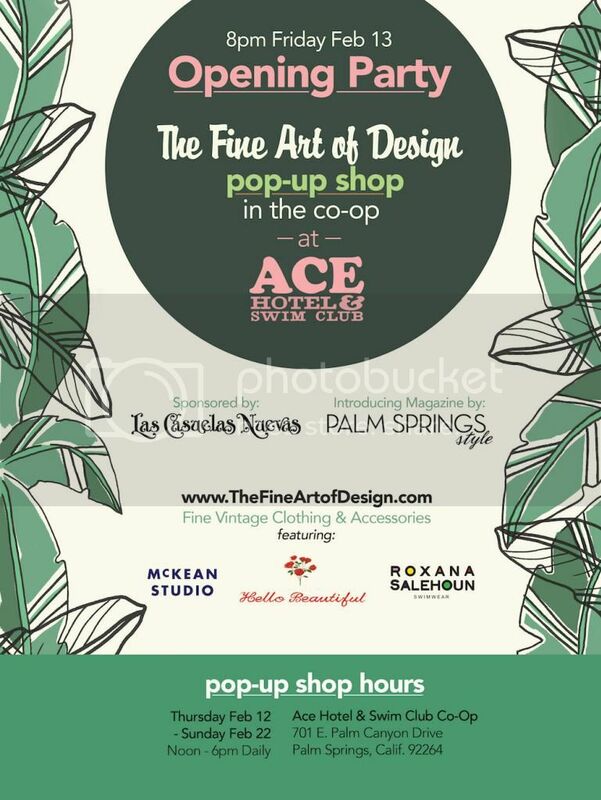 We've been so kindly invited to be a part of The Fine Art of Design Pop-Up Shop, in the Co-Op at Ace Hotel & Swim Club, Palm Springs. Running from the 12th of February through to the 22nd, with shop opening hours from midday til 6pm each day. All of our Palm Springs products will be available during Modernism Week - the Mini Cities, the City Bangles (including the new turquoise special edition colourway), the new Palm Springs Love print and the Palm Springs Souvenir Scarf. We are so excited for this event, and to have a sneaky holiday bundled in. We're off to NYC for a week (Forecasted blizzards! Snow! Eep!) before coming back across to California for another week. Counting down the days!